I have been Pastor of Noddfa Baptist Church (Abersychan) for 18months, in this time I have had the privilege of meeting many people from the community. 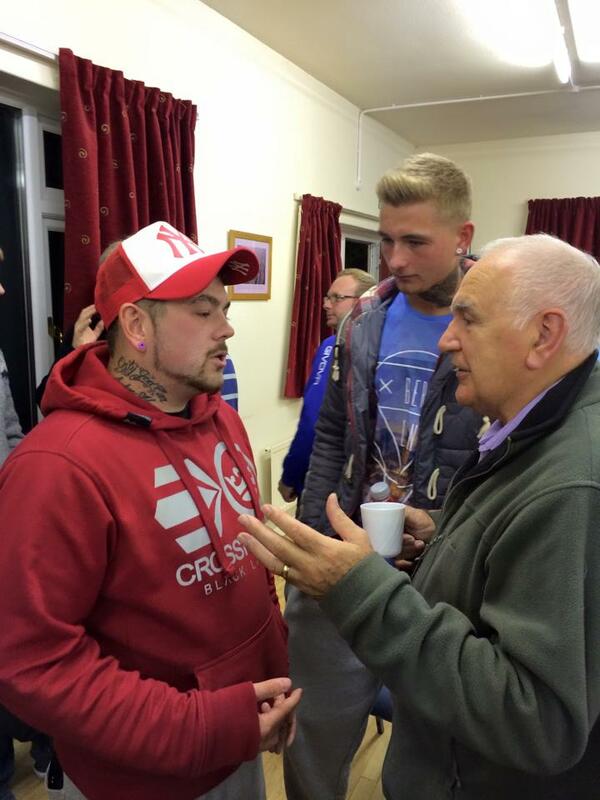 Several conversations have been had and many over Science and Faith. A common idea among our mission field (and the western world) is that Science has disproved God. Thus Christians are perceived as naive, old fashioned and uneducated. People feel that a choice must be made between “Science” or “Faith”. A view supported by much of modern media, mainstream government education (upto key stage 4) and supported by people such as Richard Dawkins who have made millions of pounds off of such popular contention. My concern is that many in our community reject God and His church because of this popular view, without truly having an understanding of either the Bible’s teaching or Science. So, to combat this, I organised a meeting for the community with the intention of breaking down some of these fallacies. 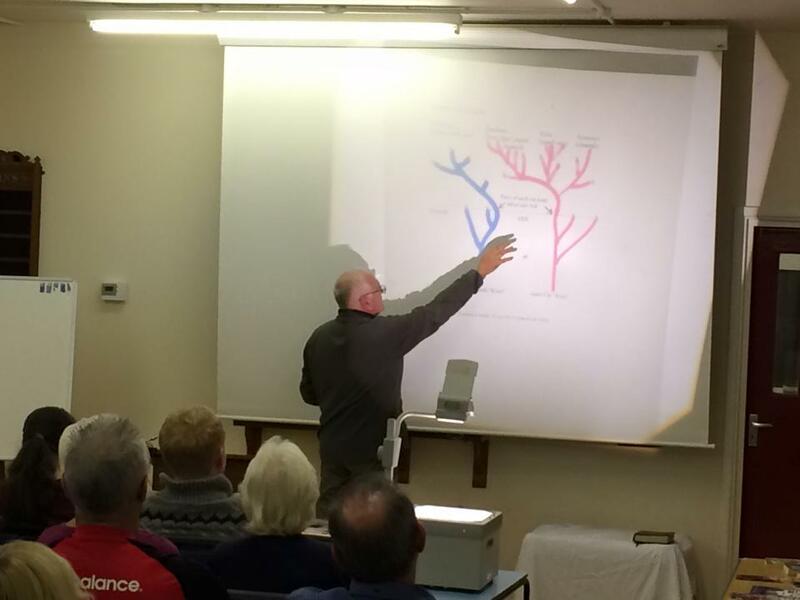 Guest Speaker, a dear friend of mine, Dr Chris Pegington P.H.D Genetics, former Lecturer and Researcher at Cambridge University, respected author, a Creationist, Pastor and Missionary in Austria and South Wales (UK). The talk was intended to highlight some of the errors in such theories that are taught as fact and to prove you can be a scientist and a Christian. In fact most of the world’s leading scientists throughout history have been Christians, driven to study creation to find out more about the creator. The popular notion that the academic world is fundamentally atheist is simply nonsense, according to the “100 Years of Nobel Prizes”, a review of Nobel prizes awarded between 1901 and 2000 (this is modern Science here), it reveals that (65.4%) of Nobel Prizes Laureates have identified themselves to be Christians. Overall, Christians have won a total of 72.5% of Nobel Prizes in Chemistry, 65.3% in Physics, 62% in Medicine. Christians are not naive to Science, many of us love it, we simply see beyond it. We are not limited to just the physical measurements, but understand the significance of the mind behind it all. Science is possible because of the rules and order found in nature, rules that would logically refute the argument chance and matter appearing from nothing. In fact the entire argument against the Bible requires more faith to believe in than what we have as Christians. The Bible teaches us that the world is cursed and this can be supported quite easily, turn on the news and see it for yourself, bad stuff happens! A cursed world would then of course provide evidence (to some degree) that would go against the truth of God. The Bible tells us to love the weakest (Matthew 25:35-40), it teaches us that God Himself left the glories of Heaven to become weak for us (2 Corinthians 8:9). So of course a cursed earth would tell a story that the strongest survive, so let the weak die “its natural”. What a dangerous precedent this teaching proclaims, not only because of its impact on society, but how it contradicts the very truth of what makes us human, a propensity to love and to care sacrificially for others, a propensity that defy’s the selfish gene, a propensity that is unnatural, because it is supernatural. If this talk has managed to knock down a barrier to faith for you, or at least has given you the understanding that there are other explanations to why you are here. If you now believe that there is “creator”. Then the next question is what are you going to about it? 2.3 To consider whether to proceed with the closure of Victoria Primary and Abersychan Brynteg Nursery Schools at the end of the 2016/2017 academic session, and if so, approve the commencement of formal consultation. I had the privilege of moving to Abersychan (Torfaen) 18 months ago to take up the voluntary position of Pastor at Noddfa Baptist Evangelical Church. My wife, four young children and I have been warmly welcomed into the community. Owing to our relocation our eldest two children had to move schools, and are now in their second year(s) at Victoria Village Primary School. I am pleased to say that since their time at the school they have both grown academically as well as socially. The school provides a magnificent environment to learn and live. The teachers and staff have been wonderfully supportive during the move and my children have made many friends. I attend the school regularly to give assemblies and have welcomed invites to concerts and end of year performances as both a Father and in the guise of local Minister. I have the utmost respect for all the staff, teachers, governors and pupils at Victoria Village Primary School. It is a school that echoes the values of our community that I am proud to serve and love as their local Minister (and now as School Governor). With that said you can begin to understand how mortified I am about the plans to close such a pillar of our community and I wish to voice my objection. Our church is independent and thus self funding, so my role as a Minister is voluntary. This does mean that I have to work to support my family in addition to the Ministry. My secular vocation is one of a Department Director for a business headquartered in Wales with offices in the USA, so I am not naive to book balancing and managing P&L. I have had to make many tough decisions in my career that have affected people’s lives, so my sympathies do go out to you all as you face this consultation. Yet I also understand that your roll in government is not to run a business but to serve the needs of the community. A community that will be lost if these schools are closed! We are dealing with many people’s lives here, a fact I doubt you need reminding of. These schools are the last bastions of community in an already beleaguered district. They bring hundreds of people through our village that would suffer economically without such passing trade. Children can currently walk to school rather than commute by car, which (if the schools were to close) would no doubt add to further congestion in our already saturated road networks. The locality of the school’s allow for many parents in the area the ability to work, thus provide for their families and give back into the community. A greater commute could affect working hours and thus their income. Removing such a popular school from the area would also impact business investment; I for one would not relocate to an area that would not be able to provide suitable facilities for the families of those I would choose to hire. As I bring this heartfelt plea to an end. I want to stress again the wider social impact that closing these most beloved institutions will cause. I want to reaffirm that to the parents, families and all those that love our community; this is not just a cost cutting exercise. Your decision is one that will define the future of our village, our county and our country. The principle of removing local amenities from Welsh towns and villages such as ours will undermine the very fabric of what makes them special places to live. Your decision to close these schools could turn our little loving village into a barren ghost town of commuters, leaving early for the bigger cities. People will lose self worth as they daily migrate to be lost in a metropolis, and they would care little for the strangers around them when they return home. I repeat, your decision to close these schools will turn a local, loving community into another cold and alien commuter town. I have witnessed such a transition myself. Once loved neighbours will become alien, families will grow insular and children’s freedom restricted to their garden fences, the high street desolate and a hotbed for crime. This principle of closing local amenities is disgusting and eating away at the foundation of our countries soul. Without community, you lose respect and accountability for your local environment and people. However, what saddens me the most, is that many within our community are already disillusioned, especially those who have recently had to move their children into Victoria Village School because of previous closures. Many in our community feel that the decision is already made and that they are powerless to do anything. What a sad state we have fallen into, if many of the people you serve feel that they do not have a voice, or do not believe it will make any difference. 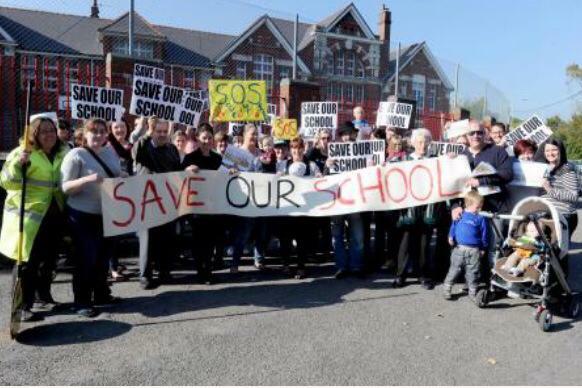 I hope that we can work together to prove them wrong and begin to fight against this trend of closure in our Valley and restore our communities, starting with the end of this ridiculous notion to close Victoria Village Primary and Abersychan Brynteg Nursery Schools. We are on our knees in prayer that it is God’s will that the school will remain open and will fight to support it.